Think back to when you were in school – did you have any teachers that were just, well, to be honest, bad teachers? Or maybe there are some teachers you know now who are just simply not that effective. It’s certainly not our job to point fingers or critique others, but what we absolutely should do is take a long, hard look at ourselves and make sure that we are not falling into any of these bad habits. So, here you go, 7 habits that, in my opinion, will cause us to be a less effective teachers. Failing to properly prepare. We all have days that we realize last minute that we forgot to make copies of that worksheet we really need, but if we find ourself habitually starting class not sure what we’re doing today, we are in trouble. Yes, we might make it through the class, but we’re certainly not going to be as effective as we could be if we’d prepared adequately. So, let’s determine to do our best to prepare as much as possible. And if you’re feeling completely overwhelmed, do what you can now and determine to put in the work over the next summer so you’re not in this position again. Thinking that you’ve figured it out. Whenever we start to think that we’ve got in down, that we don’t need to keep learning and growing, we start stagnating. And we’re less effective than we could be if we kept looking for new ideas and better ways to teach. Hello Linda, thank you very much for all you send to me. I would like to know how can I get the books you wrote. I am really struggling with the not yelling as a first year teacher! I feel like even when I am trying to institute the WBT style of teaching. It is new to the students and I so it has been my biggest struggle. I try not to yell, but I feel I do it more than I should. It’s challenging for sure! The fact that you’re trying not is most important…..so just keep doing your best! Another thing that can help is figuring out what you are going to do INSTEAD of yelling. That way you’ll have a response prepared instead of just reacting by yelling. 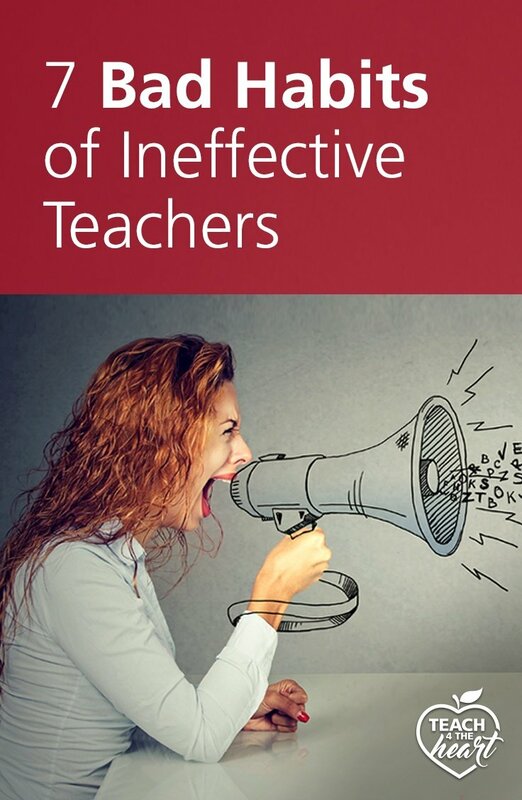 I’m Not sure what grade you teach, but as an elementary teacher I struggled with the same……I found using the ‘attention getters’ everytime I felt the need to yell AND IT WORKS!!!! Ex. Teacher says ‘ Macaroni and Cheese ‘ kids say ‘everybody freeze’ pretty cheesy I know!! Or ‘all set’ kids say ‘you Bet’. There are tons of them online! Good luck hope this helps! Oh I like the macaroni and cheese! I say class reset and they sit straight with hands folded and mouths quiet. You are right the call and response gets their attention on you and focusing back on learning. In addition I will speed up the learning pace in the classroom. It sends a sense of urgency and they will quiet down to keep up. Complimenting the children who are showing you correct behavior straightens everyone! I was like that my first year also but I stayed in prayer and researched a lot of strategies and tried them. You will figure it out just keep trying and figure out what you will do to keep from yelling. I am a student at Allen Glen High School in South Africa .I would just like to thank you (teachers) for taking time to actually understand and find better ways to deal with your students by going on sites like these and reading these books .I really wish my teachers were just as considerate and worried about their students as you all are . – that they are way too impatient for us as students ,for example:moving on to the next section even when kids still do not understand the previous section .What is the point of moving on to the next section of work if your students do not understand the previous? Read Magic 123 for help with classroom management. Please do not yell. Practice with the kiddos what you expect. Model and acknowledge when you see the correct behaviors. I am an elements teacher. SING! Put whatever it is you need to get across into a goofy doesn’t have to make a splash as art song and sing it to them. I even had a recalcitrant herd of middle schoolers mind when I sang. They said if I promised not to sing again they would mind. Immediately there after when they started stepping out of line I would ramp up the humming and they would quit. It turns anger into funny but gets the point across and makes you a hero not the out of control teacher. Or they think you nuts- whatever it takes ;). Make sure you have an insentive/ reward system. I give out tickets and kids put their name on them and i do a drawing every week for a prize. This seems to motivate them….i am still working on how to transition to intrinsically rewarding themselves. Lower your voice and speak slower. It grabs their attention. Please please please never yell at your kids or students. It models disrespect and an inappropriate way on how to handle our emotions. In addition it fosters an environment of fear and creates a lack of trust. If you are too stressed or overwhelmed and feel the need to yell then maybe teaching is not your calling. I am a 31 year veteran teacher. I know hard difficult classroom management is in the beginning. My advice is to make a list of the 5 main rules you want to see followed, Post them, then before each class period, give a verbal reminder. It helps to give students reminders before the chaos begins, and helps we teachers explain clearly what we expect out of the students. Hope this helps! I bought a service bell like the ones on the desk at a hotel counter. It really helps me when I feel the need to yell. I just ring it (several times if Im stressed) and all my students put their hands up. I dont give directions until all kids hands are up. I do this also. It saves my voice and the students respond very positively to it. Every teacher should have a bell. We have 5 peas in a pod. Planned procedures prevent poor performance. Teach your procedures / expectations in mini lessons the first month of school. Have kiddos show what it looks like . I’m pinning this so I can pass it on to the Junior teachers I have in my department. Sometimes, as a senior staff member, we forget to pass on the basics to those who will take over from us. #3: You’re right that sometimes you shouldn’t sweat the small things. But what I mean is that if you let all the little issues go at the start of the year, soon little problems become big problems. This is especially true for newer teachers or those who aren’t confident in their classroom management skills – because students take advantage. #7: What I mean is that you should never stop learning & growing. You should never think “I’ve arrived as a teacher. I don’t need to change and improve anymore.” That’s where you start going backwards & lose effectiveness. But you’re right that there is also a danger in feeling as if you’re never doing enough WORK and that you should always do more THINGS. That’s not what I mean at all. You need to have balance and know when to say “I’ve done enough. This lesson is good enough. This visual is good enough.” etc. But we shouldn’t get to the point that we think we’re just good to go on all fronts – that we’ve put in our time and now we can stop growing. This is a little off topic, but I was reading through these comments, and I just wanted to say “kudos” for how professional you were in clarifying what you meant, especially after such a rude comment. I have to disagree with Steve. 7 is so true and it is the ones who have been teaching a long time who don’t understand. We are teaching a different type of student now than we were 20 years ago…even 10 years ago. If we don’t change with the students, then they do not learn. I agree. I work with a teacher that constantly brings up how she’s taught 18 years and there’s nothing wrong with her teaching. She still uses the same activities/teaching strategies that she used when I started at the school 11 years ago. She complains about making changes all the time. It is difficult working with someone so set in their ways. 26 years in a class room and I think she’s right! We have a profession that makes us need to adapt constantly. We will always progress! What a great chance! Never bored! Thanks for the reminder that the big things are the little things! And for urging us to daily be the best teachers we can be. I reposted your article on my website at learningbythebrooke.com. I agree with all of these with the exception of No. 7. Sometimes, even our best efforts will merely be, “good enough,” especially if you’re like me and in your first year teaching. There is literally no end to the amount of strategies, activities or new ways of teaching we might find to teach something in a “better” way, however, we owe it to ourselves to honor our limitations and personal time. Sometimes, done is better than perfect and “good enough” is simply that – good enough. just wanted to reflect on the yelling issue as it has been a bad habit of mine and I successfully got rid of it recently. First, I stopped talking completely and waited until everyone got quiet and used this time to observe the students, this worked most of the time but I wanted something better/more fun. Since then I have found a better solution and that is “the give me 5” method which I read on some blog not long ago and it works like a charm. Basically I told students that I want them to do 5 things when they hear me saying give me . I suggest trying this technique and give your vocal cords a break. Hi, I’m a new teacher, working as a sub now, and I have struggled with yelling. I know it’s terrible and I try not to but my students just refuse to listen or follow directions if I don’t. Waiting until they quite down doesn’t work and I think I’ve tried every single attention grabbing trick out there and the result is still the same. The only thing I haven’t done is bribe them with money. Its becoming a challenge everyday and I fee like I’m the only sub that doesn’t get any work done. Should I reconsider teaching? No it doesn’t mean that at all. It just means you need to learn some new classroom management techniques. (You can start with the classroom management tab in the menu). The great thing about subbing is you get lots of fresh starts and lots of chances to try out new ideas. Most of your points make sense and I agree about the not yelling. However, I’m on the opposite side of your justification of being prepared. It was not acknowledged that there will be many and I mean many days where your whole lesson goes out the window due to a school event, project, and other circumstances that interrrupt your plans. I don’t feel this applies to Special Ed where these change of circumstances come into play so much. I try to prepare, but so many things just interrupt my plans. Honestly, I’d say be prepared for change and there are many times you just have to wing it. Yeah it seems ineffective, but lets be realistic, not everything will go as you have planned. I am a new teacher who has been teaching 7th grade ELA since Dec 9th in an inner city middle school. Stasting from my first day I have been cursed out, disrespected every day with name calling such as “dirty –tch,” “ugly –tch,” “fat –tch, and “skinny –tch.” When I ask the kids to do something, they usually respond with “F–k you I can do what I want!” They refuse to leave the room when asked to do so after disrupting the class. I have implemented the suggested classroom management plan and it helps a little and sometimes but I find that I must still yell in order to get the attention of either the class itself or some particular student. You are right. It rarely works. I teach 4 one hour blocks cevery day. Each block except the first, consists of 28 students 14 of whom receive special education services. On two occasions recently, a student has cried when I yelled her. This has hurt me to my heart and made me want to reconsider teaching as a profession, but I honestly cannot think of anything else I’don’t rather be doing. Any suggestions would be greatly appreciated. Thanks for these tips. I really dont want to go to class today because all of these apply to me. I need to work on improving and sharing stories with other teachers is probably the best comfort. How to deal with the kids who are indifferent in class no matter how interesting the lessons are they work out with other students more rather than this bunch…..
You are drowning. I felt exactly thr same way my first year in an urban school. First have a long talk with whichever special education teacher you feel most comfortable with. Maybe after school, someplace relaxing You should be getting more assistance from their department. Second, find a mentor teacher. Third, take a weekend off . No planning, no grading, relax and have fun. You need a chance to recharge. Don’t give up the kids need you. I do agree wholeheartedly with number 7. Really great teachers are mostly those who’ve been teaching for some years and as junior teachers were constantly looking to be better. Better at engaging their students, better at getting their message across, better at speaking the language of learning. The really, really great teachers are those who continue this search through their careers and are still looking for new ways to engage, new ways to interact, while using their extensive learnt knowledge of “what not to do”. I disagree with number 3.
b) not ignoring attention seeking behavior, which is the best course of action. I think a number 8 could be “Talk too much”. 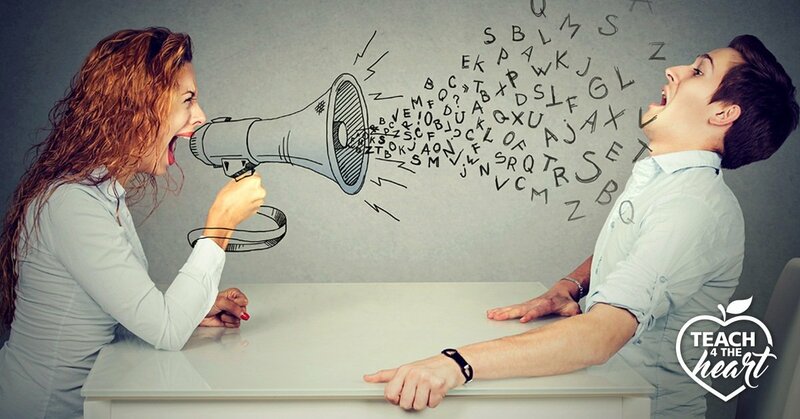 Many teachers think that they have to fill any silence with their voice. Very counter productive. Thank you for your post. Another bad habit is making idle threats that you have no way or intention of doing. Once you do this you will lose the control of your class and the respect of your students. Follow your classroom management plan, do what you say you will do, demonstrate respect, and be fair. The students will notice. They won’t be perfect, there will be problems, but they will know where you stand and what you expect and respect you for it. #3 on whether to address the little things or not, as a veteran teacher of 40 years, I have come to realize over the years that you do need address even the little things, but you do NOT need to make it a big deal. Consistency is key and just by having the child correc the rule broken or quickly getting their attention to correct the problem that may seem little, will let the students know you are consistent in what you want. Practice at the beginning of school for weeks and making the routines habits is the way to manage the classroom. Read the books and see the videos by Harry Wong. His little tips and routines really are great! Yes. Exactly! Thanks for making that distinction. Thank you Linda for all you do especially for new teachers. Thank you for sharing your strategies for managing a classroom to promote effective teaching and learning. When you are called to teach, you have God given authority to speak the truth to the students. I thank you Linda for your views. I appreciate your help and look forward to learning more. I am a veteran teacher and don’t realize some methods, both in teaching and management, don’t have the same effect that they did before. HI Linda, I thought I would share this with you as it relates to one of your comments about teaching. My daughter graduated a Cert V in Patissiere and the guest speaker was not a traditional educationalist, but the recognised ‘Best Chocolatier in the Southern Hemisphere”. He spoke of his experiences in going from being a young man of 16 leaving school to learn to make pastries to getting his dream job in a quality Chocolatiere in France, to opening his own company and winning international awards. He made this comment: that when ever he started to believe he was a ‘someone’, he stopped learning. His advice to the graduates was never stop learning, and never believe that all they know is all there is to be learnt. Wise words that struck a nerve in me and I try to hold onto when I get annoyed with a petty task that takes me away from the classroom! I LOVE what you wrote about God’s calling and staying in prayer. Also the practical tips about being prepared etc. Thank you! Another thing that makes a teacher ineffective is to threaten with a consequence that you have no intention of fulfilling. For immediate ‘quiet’ in k-3 classes, buy a stuffed noise- making toy (I used a bluebird one year and a bubble shaped dog-toy another year the kids called ‘mr bubbles): the kids responded to the toy sound and knew to be quiet immediately. In k-1, they also put their hands in the air when they heard it! Don’t over use it–it works great for transitions, quieting the class if there’s an announcement, etc. Worked much better than my voice and a sub could use it, too! you are right about not let little things go because they do become big things. However I found it impossible to teach when I started addressing little things. 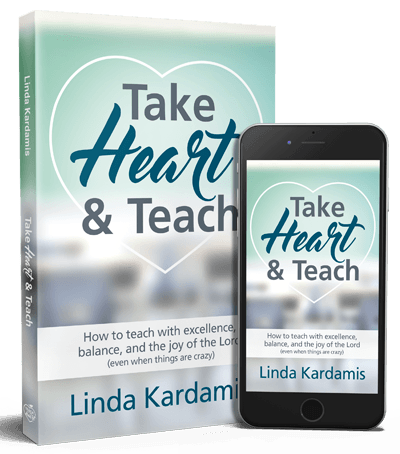 The more little things I addressed the more little things I had to address, there was no time left for teaching. Has anyone experience something similar? Remember that you can give a quick verbal reminder. You don’t have to issue a formal warning or consequence for every little infraction. I hope that helps.